An illustration showing General George Armstrong Custer arriving at the scene of the Kidder massacre which occurred around July 1, 1867 in Sherman County, Kansas. 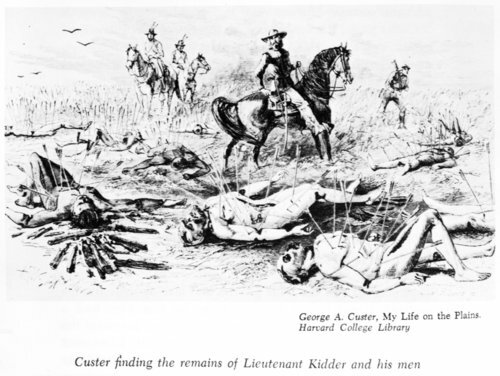 This illustration is copied from Custer's book, My Life on the Plains, published in 1874. Funds for digitization provided by Mr. Steve Peckel in memory of William Chalfant.